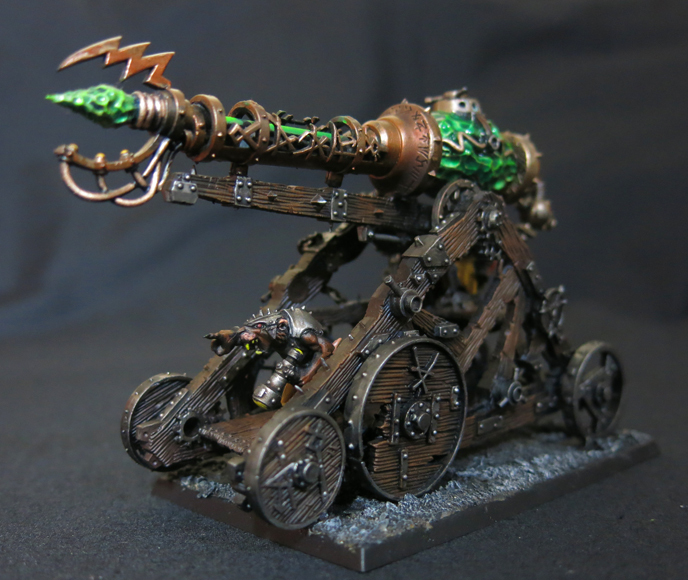 It’s that time again, the moment I take a look at the progress of my Skaven army this month. To recap for newer readers, back at the end of 2016 I realised that my Skaven army was going nowhere. Rather than the mighty horde of painted rodents I dreamed of it was a big heap of unpainted plastic. As it was the scale of the project that was putting me off, rather than attempt to tackle it all in one go I decided to add a minimum of one model to the army every month. In 2017 this proved so successful that I’ve kept at it in 2018. This month my attention was also grabbed by the latest of Azazel’s monthly challenges; the Jewel of July. Again, for those new to the idea, blogger extraordinaire Azazel has been setting a challenge to himself and anyone else who fancied joining in, every month of the year. For July the aim was to paint a centre piece; a hero, a big monster or a warmachine. I had great plans for this but sadly the trials of “real life” put paid to the deff-dread, Goliath boss and others for this month. 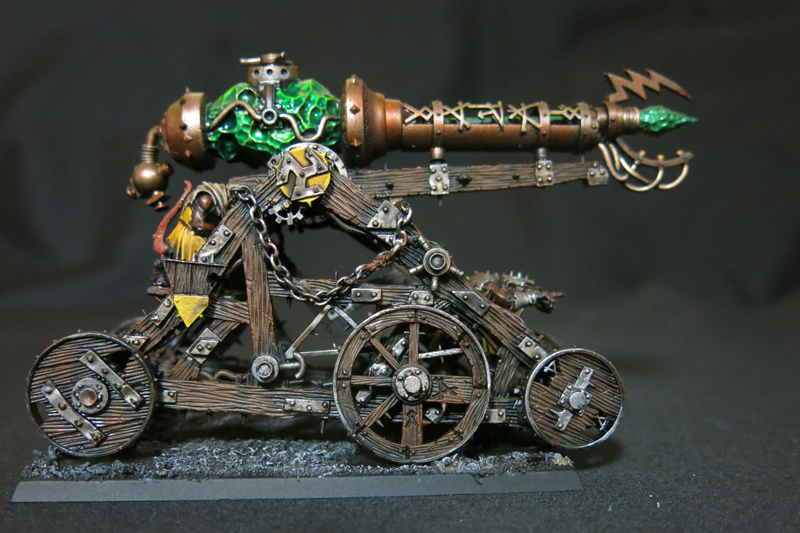 One model however just couldn’t be left behind, straddling as it does both challenges; the warp lightning cannon. As with all the bigger kits even when I thought I was done I found several areas that I’d overlooked and had to take it back to the painting desk for further touch-ups. 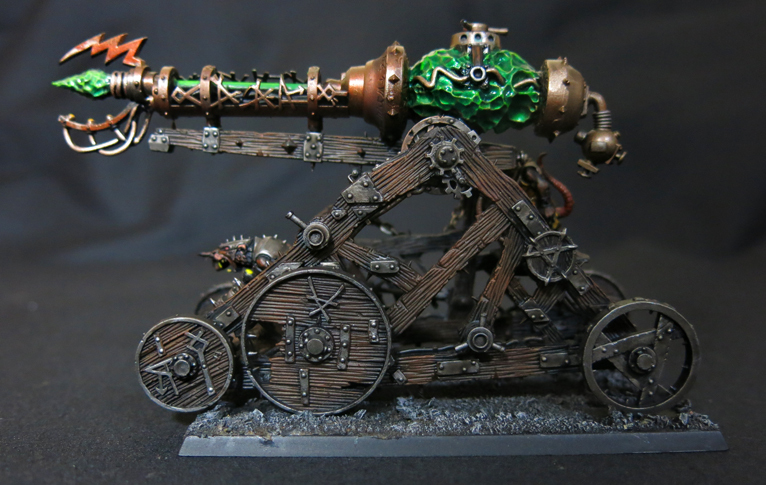 In the end this one came right down to the wire, and for a while I feared it wouldn’t make it, which would have been a disaster as I would have finally failed to maintain my Skaven streak. The glowing effect on the warpstone was remarkably easy to achieve; just a quick coat of waystone green technical paint over fulgurite copper, plus a few judicious highlights of moot green. The whole effect only took about ten minutes to complete (minus drying time of course). Those familiar with the kit will also notice there’s a few bits missing here and there, and the odd addition to cover over it’s various battle scars. The model was sold to me by a friend (indeed, she basically gave it away) and from what I’ve heard it was fairly battered when she got it (also second hand). The price for getting it so cheaply was all of the damage it had accrued along the way but I think I made a fair job of covering that up. 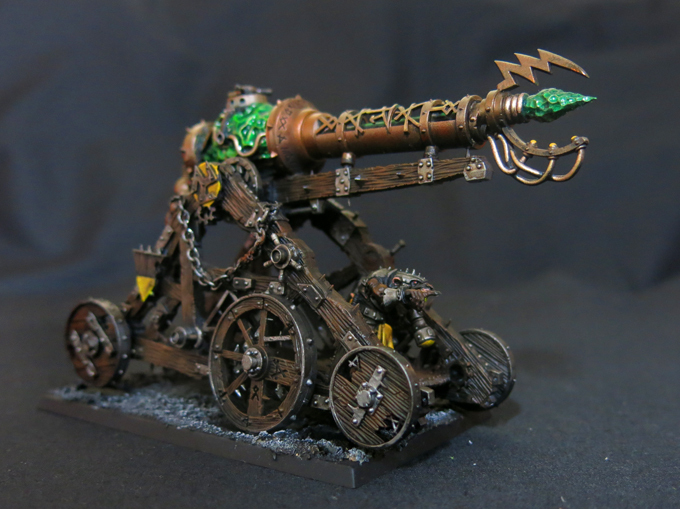 Of course part of the joy of the Skaven is their ramshackle warmachines so it was relatively easy to incorporate the damage into the model and disguise it. Although the heap of Skaven plastic still waiting for attention remains fairly huge I’m pleased to say that finishing it is now starting to look achievable. Of course I’m not making any promises, I’ll just keep chipping away, but it’ll be interesting to see where it stands next time New Year rolls around. I was hoping to have a couple more Goliaths finished by now but alas, although they’re so close to the finish line they can almost touch it they’re still not quite ready for the grand reveal. However that doesn’t mean I’ve got nothing at all to show you. Despite the shackles of “real life” hanging particularly heavy over the past week or so I’ve still managed to put in a little bit of time on the hangers on available to my Necromunda gangers. First of all we have the Dome Runner who’s job it is to guide my crew through the dark depths of the Underhive, and who’ll be getting the blame if they wander into the lairs of any mutant tribes. Last time we saw him he was freshly cobbled together and looked like this. However I still wasn’t completely happy with him and, following suggestions from various sources, decided to turn the candelabra through 90 degrees so as to avoid obscuring his face and to add to the sense of narrative as the smoke trails behind him in the murky tunnels. I also gave him a backpack to emphasise the idea that here is a man who lives on the road, a wanderer who travels from zone to zone, perhaps even hive to hive. Of course this leaves me wondering how much such a nomad can be trusted and whether his wandering ways have more to do with staying ahead of all the gang bosses he’s double crossed, but that’s a risk it’s worth taking for the insight he brings to the hidden corners of the hive and the treasures to be found therein. Of course he’s not the only non-ganger to be found hanging around the hideout. My boys are getting heartily sick of vent scrapings, corpse-starch and protein capsules, and dream of a nicely burned rat like mama used to make. Luckily I’ve made them a slopper, a man skilled at turning Underhive wildlife into nutritious meals. Furthermore, in spite of the fact that I really ought to have been painting Goliaths, I gave in to temptation and started assembling my Van Saars. Everyone has advised me that they’re best assembled as per the instructions, and that any attempts to deviate from said instructions (barring simple head or weapon swaps) ran the risk of disaster. Naturally I ignored the advice of these wise heads entirely and set about kitbashing my gang leader with gusto, not to mention a bit of muttered swearing and a growing sense of horror as the kit’s complexity revealed itself. My vision for the model was pretty clear from the outset, I wanted the leader to be posing, one foot on a case of spilled ammo, as per the leader from the studio gang, but I also wanted a woman to lead the gang as that ties in to the background I’ve been planning for them. I wasn’t willing to compromise on either point and, despite the fact that the bits really aren’t meant to go together I reckon she’s turning out fairly well. Here she is waiting to be kitted out with her hystrar energy shield (which I’ll be painting on the sprue and adding later). Obviously she’s still just tacked down at the moment, and the gun looks ridiculously huge in her hand (although in my defence that’s an issue with the kit). These are all still WIP so any feedback or suggestions are welcome, although given how tricky the Van Saar was to put together if you think she needs adjusting I recommend you phrase it very diplomatically indeed! To my mind any game needs scenery, a landscape to capture the rusting darkness of the underhive, the magically infused Mortal Realms or the war torn 41st Millennium. Remember that great Black Library novel where the heroic and square-jawed space marines storm across the kitchen table to defeat the tyranid menace lurking behind the heap of books and beer cans? Funnily enough, neither do I. Now I know the role-players out there are shaking their heads (justifiably) at the implied lack of imagination here, and I’ll also admit that back in my university days we played some damn exciting games with books for hills and beer bottles for towers, but given a choice between that and the rich reality of the worlds in which our games are set it’s really no contest. Because I haven’t played much for the last decade or so my terrain collection is next to nonexistent (and the fort made of cardboard and yogurt pots that I was once so proud of has long since gone into the bin – and yes, it was as bad as you’re imagining). However, now I’m gathering a band of ruffians to explore the Underhive I need to make sure there’s an Underhive to go exploring in. So far I’ve mostly concentrated on painting up the barricades from the Necromunda boxset but expect to see more terrain from me soon. I don’t think I’ve shown this bit of ruin before (with almost 400 posts on the blog now it’s getting hard to keep track). It’s an older piece but I reckoned it would tie in nicely here. In order to bolster the ranks of my gangs, fend off the effects of any attrition that may occur if we try playing campaigns and, most importantly, because they’re so much fun to make, I’ve decided to add a few hive scum to my Necromunda collection. 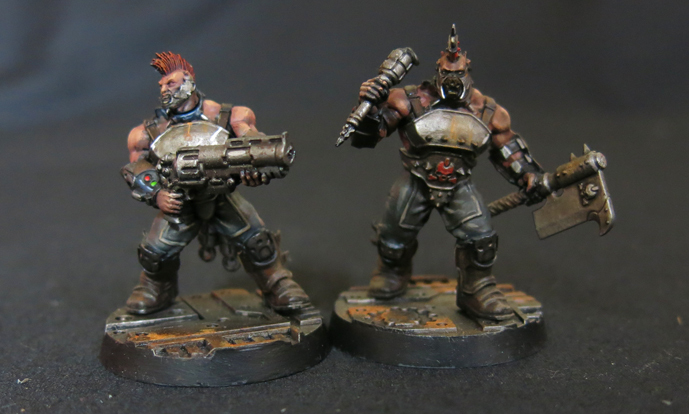 For those unfamiliar with Necromunda, hive scum are similar to bounty hunters who can be hired to give a gang a little added muscle, but whilst bounty hunters are generally skilled veterans who bring a suite of knowledge and experience the envy of any gang champion, hive scum are downhive ruffians and miscellaneous bampots who bring only a willingness to murder people at next to no cost. Spotted loitering around some seedy underhive drinking den and “convinced” by a combination of threats, casual violence and false promises to join my gangers as a pack-serf, part-time bullet catcher and potential future meal, we have this scrawny beastman. Alongside him I recently stumbled on these two gathering dust in the bottom of another box of old models and decided to try resurrecting them. Exactly what project I built them for is long lost to the mists of time now and they’re definitely the products of a less honed hobbyist than I am now, but I’d argue that they’re not entirely without their qualities. The one on the left will probably just get broken up for bits but I’m rather fond of the one on the right (mostly as a result of misplaced nostalgia I’m sure) so expect to see him again soon enjoying a new life as a lowlife thug (following a few judicious modifications and a quick rebasing). Right – after a long day at the forge taking the metal we bought off filthy Orlocks and turning into something the equally filthy Van Saars can use to make weapons for (presumably also filthy) offworlders to shoot aliens with, it’s time to down-tools, grab a few mates and head down into the Underhive looking for a scrap. Since I first started working on my Goliath gang Necromunda has grown wonderfully. We now have hangers-on, bounty hunters, brutes, hive scum, pets, even a squat. The starting gangs have been bolstered by five more; the Orlocks, Van Saars, Chaos Cults, Genestealer Cults and Venators. I’m rather taken with both the clean, sci-fi look of the Van Saars and the biker gang style Orlocks, although I’ll admit that I’ve always been particularly interested in (the as-yet unreleased) Cawdor and Delaque. 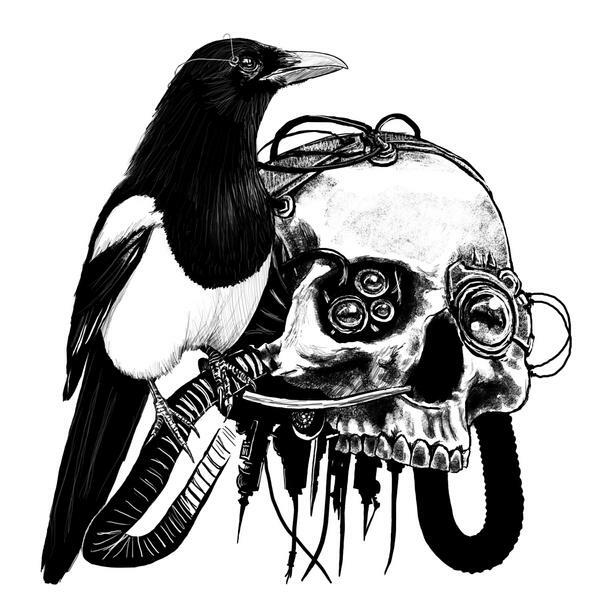 Throw in the fact that I have a natural affiliation to Chaos, a long-standing desire to join a Genestealer Cult and a love of coming up with gangs and warbands of my own design, and it’s clear that I’m going to be delving into the setting in force over the coming months. What’s more, unlike Warhammer, 40k or Age of Sigmar, I’ve actually managed to get my head around the basic rules after a couple of bashes at the starting scenario, so who knows – I may even end up getting a few games in. It certainly seems a lot more smooth and straightforward than 40k, a game bogged down by all its turns and tables. That said they still insist on confusing me with their insistence on measuring things in inches – it’s 2018 guys, what the hell is an inch?! That minor quibble aside it does look like a lot of fun to play, and as fun games demand painted miniatures (and that’s why we’re all here right?) it’s time to break out the brushes and get to work on another unreformable brute with a face only a knuckle could love. Naturally old Grak was getting a bit worried guarding the gang turf by himself but now Rex is here things seem a little easier. Life is better with a friend after all!